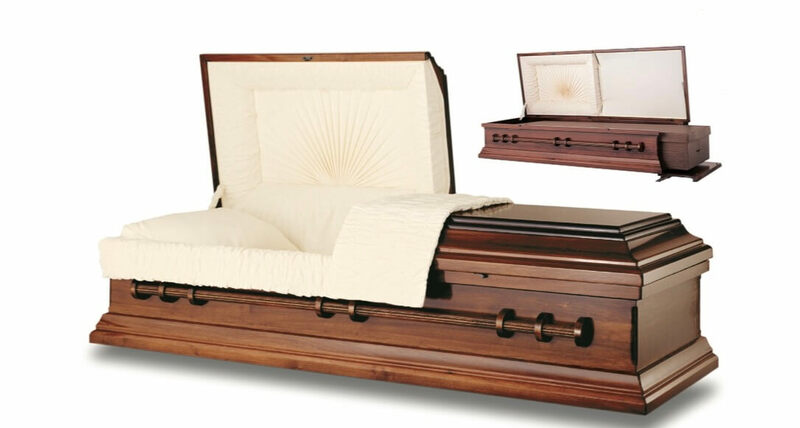 Cremation Prices Whitman, Brockton, Weymouth, Rockland, Bridgewater, Boston MA - MacKinnon Funeral Home, Inc.
Our complete basic cremation services available starting at $1,300.00. Our Cremation services are the most affordable in Massachusetts. Call 1-866-447-4141 24 hours a day. • Professional licensed staff for arrangements, and obtaining authorizations, permits and death certificates. • Transfer from place of death to our facility, (within Mass.) and sheltering of the remains. 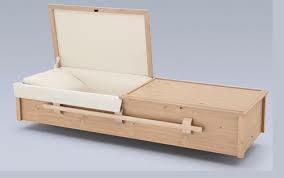 • Alternative container for the body for transfer to the crematory for cremation. • Transfer to the crematory and the crematory fee (for Duxbury Crematory). • A temporary container for the cremated remains. This charge does not include a ceremony, viewing, certified copies of the death certificate or newspaper notices. *This charge must be paid in full at time of services. All cremations in Massachusetts are done individually. In Massachusetts, there is a 48 hour waiting period before the cremation can be done. Please do not schedule a service unless you check with us. Depending on the circumstances and timing it may take up to a week for the return of cremated remains. If services are pre-planned and pre -paid we will provide personal delivery of the cremated remains at no cost within Massachusetts. Prices range from $5.00 to $24.00 per copy, depending on the city or town where the death occurred. A viewing may be done at our facility or at the crematory, for an additional cost. Private family Viewing at our facility $450. Director for viewing at crematory $250. Embalming (Needed for public viewing or autopsy) $950. Sanitary care and dressing of unembalmed body $150. Except in certain cases embalming is not required by law. Embalming may be necessary, however if you select a service with a public viewing. The family may have a private viewing without embalming. This price does not include charges of churches, cemeteries or other chapel fees. Arrangement of the service, 1 register book, 50 memorial / prayer cards, and 50 thank you cards. Color Portrait Cards or Cards with a picture. Fully laminated 100 Cards…�….$ 180.00 100 cards minimum. A Licensed Funeral Director for a burial of cremated remains or a memorial service at an outside facility, such as a church, chapel or cemetery. This does not include any fee required by a outside establishment or cemetery. Newspapers charge according to number of days to be listed, and length of Notice to be placed in the newspaper. Listing an Obituary or death notice on our web-site: No charge with cremation services and funeral services. Click here to view our full range of cremation urns and keepsakes/memorial jewelry at our website. Serving all of Massachusetts Cities and Towns included in our service area for cremation. Abington, Acton, Acushnet, Allston, Andover, Arlington, Ashland, Assonet, Attleboro, Auburn, Avon, Ayer, Barnstable, Bedford, Bellingham, Belmont, Berkley, Beverly, Billerica, Blackstone, Bolton, Boston, Bourne, Boxborough, Boxford, Braintree, Brant Rock, Brewster, Bridgewater, Brighton, Brockton, Brookline, Burlington, Buzzards Bay, Cambridge, Canton, Carlisle, Carver, Cedarville, Centerville, Charlestown, Chatham, Chelmsford, Chelsea, Chestnut Hill, Cohasset, Concord, Cotuit, Danvers, Dartmouth, Dedham, Dennis, Dightin, Dorchester, Douglas, Dover, Dracut, Duxbury, East Boston, East Bridgewater, Eastham, Easton, Essex, Everett, Fairhaven, Fall River, Falmouth, Fitchburg, Foxboro, Framingham, Franklin, Freetown, Gardner, Georgetown, Gloucester, Groton, Groveland, Halifax, Hanover, Hanson, Harwich, Haverhill, Hingham, Holbrook, Holden, Holliston, Hopkinton, Hudson, Hull, Hyannis, Hyde Park, Ipswich, Jamaica Plain, Kingston, Lakeville, Lawrence, Lexington, Lincoln, Littleton, Lowell, Lynn, Lynnfield, Malden, Manchester, Mansfield, Marblehead, Marion, Marlborough, Marshfield, Marstons Mills, Mashpee, Mattapan, Mattapoisett, Maynard, Medfield, Medford, Medway, Melrose, Merrimac, Methuen, Middleboro, Milford, Millbury, Millis, Milton, Nahant, Natick, Needhan, New Bedford, New Seabury, Newbury, Newbury[port, Newton, Norfolk, North Andover, North Attleboro, North Easton, Northboro, Norton, Norwell, Norwood, Onset, Orleans, Osterville, Oxford, Peabody, Pembroke, Pepperell, Plainville, Plymouth, Plympton, Pocasset, Provincetown, Quincy, Randolph, Raynham, Reading, Readville, Rehoboth, Revere, Rochester, Rockland, Rockport, Roslindale, Rowley, Roxbury, Sagamore Beach, Salem, Salisbury, Sandwich, Saugus, Savin Hill, Scituate, Seekonk, Sharon, Sherborn, Shirley, Shrewsbury, Somerset, Somerville, South Dennis, South Weymouth, South Yarmouth, Southboro, Stoneham, Stoughton, Stow, Sudbury, Swampscott, Swansea, Taunton, Tewksbury, Topsfield, Townsend, Truro, Tyngsboro, Uxbridge, Wakefield, Walpole, Waltham, Wareham, Watertown, Wayland, Wellesley, Wellfleet, Wenham, West Bridgewater, West Newbury, West Newton, Westborough, Westford, Weston, Westport, Westwood, Weymouth, Whitman, Winchester, Winthrop, Woburn, Woods Hole, Worcester, Wrentham, Yarmouth, Yarmouth Port.